Over the years, BMWBLOG has not only become the largest single online publication focusing on a particular car brand, but also one of the most important automotive media sites around the world. BMWBLOG’s professional content is often quoted by major car publications and mainstream media. Our brand extends in Europe as well where our co-owned websites are having a great impact in their own market: www.bimmertoday.de in Germany and www.bmwblog.ro in Romania. In a single month, the talented team at BMWBLOG delivers over 400 articles, from short to long-form content, video features and exclusive photoshoots. BMWBLOG is in NO WAY affiliated or owned by BMW AG. BMW is a registered trademark of BMW AG. If you would like to contact BMWBLOG with suggestions, comments, corrections, errors or tips, please contact us. You can find us on Facebook, Twitter and Instagram. Horatiu Boeriu is the founder of www.bmwblog.com and currently manages the day-to-day activities, including content strategy, content creation, advertising sales, partnerships and product management. 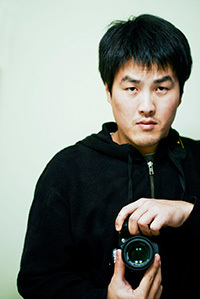 Horatiu majored with a Computer Science degree from University of Illinois at Chicago where he cultivated a passion for product management, engineering and startups. 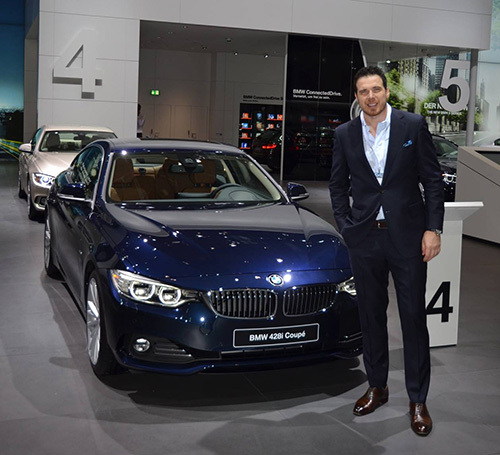 Horatiu’s passion for BMW cars has translated in 2006 in the creation of BMWBLOG, the first online car magazine focusing on a single car brand. Over the years, Horatiu has owned several BMWs, from an E30 318i and E46 325i, to an E90 335i, X3, 1M and i3. My very first car was an E36 BMW 328i and I’ve been hooked on the brand ever since. My passion has grown even stronger throughout the years and now I basically have the dream job of any car enthusiast — to drive cars and write about my experiences. I’ve seen some pretty crazy things, been on some incredible and dangerous adventures and met some really great people during my time. Oh, and driven some amazing cars. I’m a bigger fan of classic cars than new ones, especially BMWs and the quirkier the better. Cars that are weird, unusual or unwanted, those are the cars I like. I’m the kind of guy that’d rather drive an E30 Touring than a new M3. Though I’d never otherwise turn down a drive in the latter, of course. I also love bringing old, worn down cars back to life. But I’ve always been a car enthusiast in general and can and will talk to anyone about any kind of car for any amount of time. Start talking cars with me and you’d better have an unacceptable amount of time to talk, because I won’t shut up. I have been a long time BMW enthusiast will never forget the very first BMW I got to drive, an E30 325es with a manual transmission. I was amazed at how solid it was despite its age and how the in-line six torque was so linear. I have been hooked ever since. My first BMW was a 93 325is red with black interior and a manual transmission. From there I went off into M3’s, X series and most recently the BMWi side. I enjoy working on BMW’s and especially love driving them. One of my best experiences with BMW was taking my E36 M3 on One Lap of America where we crisscrossed the country with other like minded car nuts, driving on race tracks all across the United States. Though my M3 was 7 years old then, it had no problem with the non-stop week long performance driving event. Through my writing about BMW’s and my experiences, I have met many fascinating people that design, build, race and maintain these wonderful cars. The thing that I love about BMW is that they never rest on their laurels. They are always pushing innovation with the latest technology, be it through laser lights, apps that can summon your car, or even water injection to increase efficiency. Born in California and raised in Germany, France and Romania, I currently reside in Bellevue, Washington where I keep busy exemplifying the saying “do what you love and you won’t work a day in your life.” I’m fortunate enough to be able to drive cars for BMWBLOG as a Senior Writer and then share my thoughts with our awesome readers. I’m also fortunate enough to be able to work in the video game industry over at Microsoft’s 343 Industries as a Playtest Coordinator where I help make Halo awesome every day. I have come to appreciate the universal language that is “cars.” My grandfather was an auto mechanic so I grew up around cars, random car parts, grease, nuts and bolts, air filters and the like. At the age of 9 my grandfather taught me how to drive his 1988 Ford F-250 diesel. Manual transmission mind you. My hobbies include driving cars, writing, photography and playing video games. I collect watches and Oakley sunglasses and I spend too much time reading up on the latest tech. When possible I enjoy watching Formula 1, WRC and LeMans and also my wife’s face when I try to convince her why it is I need a new camera/watch/gear/etc. The world is changing fast, and the automotive world is changing faster. It is high time to be covering automotive news; there is certainly a lot of it! I feel privileged to bring you coverage of BMW news via this growing form of media: online journalism. It has been a life long goal and dream to write for a journal such as Road & Track, but I guess I’ll have to settle for working with Horatiu. All comedy aside, I hope to bring you the best quality of automotive journalism available from any source – and I look to my unwavering passion in writing, photography and performance driving to accomplish that. Canadian by birth, I grew up in Windsor, Ontario, just South of “Motor City” Detroit – a community driven by cars. As I grew I began working with and driving all kinds of 4 wheeled machines around my agricultural community. Whether a skid-steer or a John-Deere, I always had an innate sense of exactly what the machine was telling me, when running smoothly or running rough. I appreciate that the interface between man and machine is special, romantic even. A mutual respect and reliance is ever present – the performance or failure of either side can result in triumph or disappointment. Your skillful inputs offer dynamic rewards and mechanical precision returns the favor with sensory gratification. As if a stallion unleashed by its rider’s commands, modern automobiles are capable of amazing feats; they are “beautiful animals.” I feel there are few machines that connect you more closely to the road than BMW cars and motorcycles. While there are many brilliant cars in production from the likes of many companies, no one seems to produce such passionate driving machines as consistently as BMW; indeed, they are the “Ultimate Driving Machine”. For that reason, I am enthusiastic about the brand, and I take great interest in their current products and future design. I look forward to seeing your comments on the blog, please feel free to contact me with any questions or comments – I am very approachable. My first word was “car” and it was downhill from there. My next major encounter with a car happened to be at a young age sleeping in the back of a E34 540i being woken up by a police officer. To my surprise my uncle was telling a South Carolina state trooper that he was speeding due to my encouragement. After a few minutes of thinking I was going to jail at the age of 6 or 7 for speeding I knew nothing of, I realized BMW’s are obviously fast cars. A few years later, after some time behind the wheel of an E38 740iL I came to love the Bavarian Motor Works cars. I’m a car enthusiast all the way around and enjoy all types of cars, new and old. However, I’ve always held a special place for BMW’s. The efficiency, performance and packaging and rear-wheel-drive platform has always made sense to me and probably always will in terms of how a car should be set up. However, I do appreciate cars of all shapes and sizes from all makes. I also enjoy motor sports and am a big Formula One fan and the American Le Mans Series. I found my way to writing for BMWBlog by accident. After commenting repeatedly on a handful of posts, Horatiu extended an effort to write for the site – that was nearly two years ago now and the rest is history! I’m a big fan of historic BMW’s up through modern BMW’s and love to talk cars – any cars or car industry-related. 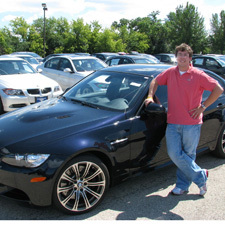 Feel free to reach out to me at Andrew@BMWBlog.com, I’m very approachable and very opinionated on the topic of cars! Hugo Becker is our resident curmudgeon and technology maven. Having had a driver’s license for over 40 years, he also has seat time in a large number of cars, from the silly to sublime. 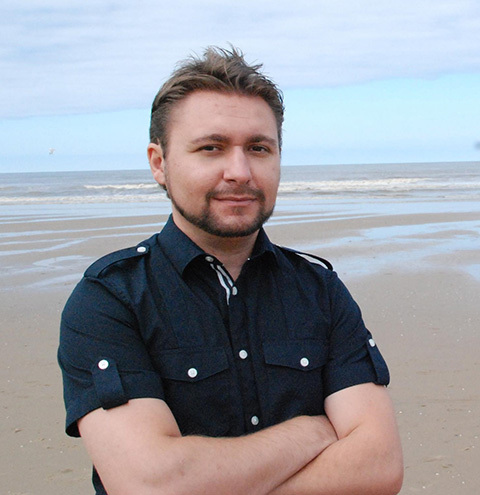 He brings a Sputnik era emphasis on science and technology to BMWBLOG, along with a passion for automotive history. Did we mention he’s old and crotchety? Growing up in a suburb of Metro Detroit, cars were part of my culture. I’ve always loved anything to do with cars – especially European cars. I had posters, books, and models in my bedroom as a kid and always wanted to go carting so I could pretend to be a race car driver. My love for BMWs started in the 90’s when I went for a ride in a E36 M3 Coupe. I instantly fell in love with how the car the car felt. From that point forward I was a certified BMW enthusiast knowing one day I would love to own one. Now I have a black 135i Coupe which I really enjoy driving! With timeless designs, dynamic handling, powerful efficient engines, and luxurious amenities, BMWs have a special feeling that I don’t get from other cars. I respect and admire all the hard work that goes into each model as well as the motorsport achievements over the years. I am glad to be part of the BMWBlog team as each contributor here shares the same passion and enthusiasm as me for the Ultimate Driving Machine. Born in Lisbon, Portugal. Raised in New Jersey where at the age of 13 my dad told me to get a job. So I did, I started pumping gas at a local gas station. That’s where it all went down hill. The first car I ever drove was a manual trans Volvo 240DL that was the shop car for said gas station. Didn’t take long for me to realize that I was born to drive cars, be around cars, and not long after that, sell cars. As soon as I graduated High School I went to work at a small highline used car store, years before new car dealers were selling used cars. All through college I sold used Porsches, BMWs, and Benzes. I got to learn Diesel and gas engine maintenance. But best of all, I got to drive these amazing cars. The love affair continued to heat up. Once out of college I thought of the dismal prospect of sitting in a cube in some office for 40 hours a week pushing paper or worse: starring at a computer screen for $30K a year. Blah! I wanted to be around cars. One day I walked into JMK BMW with a friend to pick up some parts for his E30 M3. I knew a few of the guys that worked at JMK. The service manager at the time asked me what I was doing now that college was done. He asked me if I would meet with the general manager. I agreed. And within 25 minutes I was being offered a new car Client Advisor position. That was March of 1996. The rest is history. I have had many M cars and many non M cars, but my favorite model and the 1 car I would drive if I had to drive a single car for the rest of my life has to be the mighty M5. Preferably an E39 M5. Said car just does everything right. The perfect blend of comfort, speed and track prowess. The M5 is an ICBM. Able to swallow vast distances at a brutal, sustainable pace. I am married with 2 wonderful children and 2 wacky pugs. They are my source of energy and the reason I wake up every morning. My wife was our receptionist at JMK BMW in 2001 and we were married in 2004. 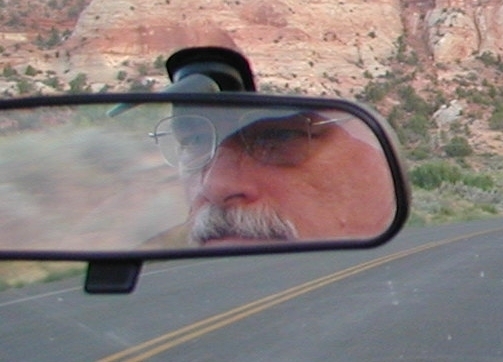 The most important thing I can bring to the team at BMWBLOG is the point of view from customers. The wonderful, loyal enthusiasts that buy BMWs year after year. I am a car enthusiast first, a BMW client advisor second. I’ve never been one of those guys that can park himself on a couch on a Sunday afternoon, crack open a cold one, and become totally and emotionally immersed in football, basketball, or any other sports game. Not saying that there’s anything wrong or bad about that, it’s just not me. It’s just not who I am. For me, automobiles are my passion, provide me with an escape, and something to for me to express who I am. They have been part of me for just about as long as I can remember. Thinking, talking, and writing, about anything related to automobiles just comes naturally. I’m originally from Southwestern Pennsylvania where the hills and twisty roads make driving enjoyable and challenging. Over the years, I’ve driven many makes and models of cars from a 1977 Ford LTD station wagon in high school to my first Volkswagen Jetta in college and my current BMW X5 XDrive35d. Of all the vehicles I’ve owned, leased, rented, and driven over the years, it’s the German makes that I’ve been most enamored with. I believe that German cars have a distinct and unique “Seele” (German for “soul”) that gives them true personality, a clearly indescribable feeling, that feeds emotion back into the driver’s hands and feet and produces the grin on ones face when exiting a tight turn. Of all the German vehicles in existence today, I feel this “Seele” most strongly in those produced by BMW. BMWs have that special something that has not and cannot be fully replicated in any other make, including the other German ones. It’s something very special that sets BMW apart from the rest. It’s the reason why nearly every other carmaker out there wants to build car just like a BMW. When not behind the wheel or in front of a computer for work or play, I enjoy relaxing listening to music especially Vocal Trance. I speak fluent German and have lived and worked in Stuttgart, Germany for three years. I’m married to an incredible wife and have two awesome kids who fully support and put up with my automotive obsessions and me. Feel free to contact me with any thoughts, comments, or questions at mike at bmwblog.com. I am a big BMW fanatic! I am delighted whenever I get a chance to take a picture of a BMW. Each time I pick up my camera to shoot a BMW, there it is, a full blown intoxication of beauty staring right back at me. The elegant lines and the graceful shapes of a BMW isn’t what mesmerizes me, it’s the radiance of a pure passion it represents. My first encounter with a BMW was back in 2008. It was 135i. It was a love at first sight. My first series of the photos of 135i was posted on BMWBLOG.com along with many other car related blogs. Since the first series, I had many more opportunities to work with the BMWBlog in attempts to captivate the most memorable moments of the BMWs in their most exquisite forms. I hope people are able to enjoy the fascinating dynamics of BMWs that I have tried to capture in my photos. It has certainly been a great privilege and honor to meet and work with incredible people who love BMWs as much as I do. And feel free to contact me at johan@drive-media.com with any questions or if you ever need a help with any shooting photos. 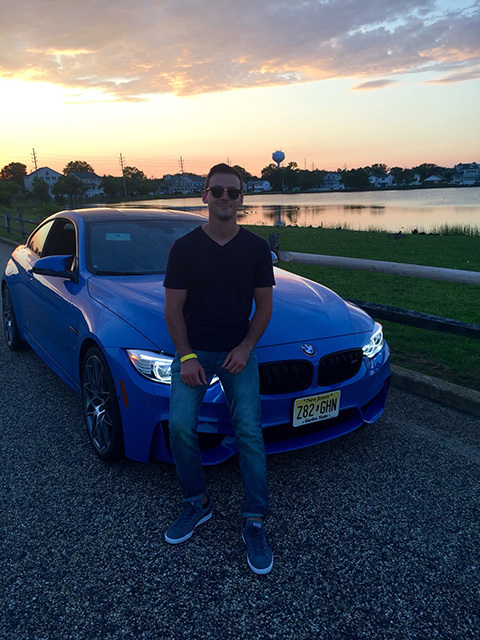 What can I really say about myself that most of you don’t already know… I love cars, especially BMW’s. Ever since I was a little kid cars have been a huge interest in my life. From the days of looking over my older brothers’ shoulder reading car magazines and having him teach me stuff, to the days of current, where I am only interested in cars and music. I believe that for every piece of music, there is a car to match it, and vice versa. Outside of writing about and test driving cars, I write a lot of music and play a lot of guitar. I am particularly into Blues music. But, I love R&B and Soul, Jazz, Rock, Classic Rock, Classical, and anything that has a good meaning to it. To me, there is nothing better than getting in a car, driving around listening to the best music that you can. There really isn’t much else that I can say. I don’t just love Bimmers, I am a true car enthusiast/nut. I love all brands and find good things in each one, but I am more biased towards BMW. As soon as Horatiu posted an ad looking for contributors, I knew this is the place I belong to, and within few months, I became an editor for BMWBLOG. I love chatting about cars. I love going to car club meets and talking everything automotive with my friends, and better yet, I love learning more about the auto industry. If you like talking cars, too, feel free to e-mail me at josh@bmwblog.com, and discuss anything automotive with me. I’m always up for a good debate, talk, or whatever. When I was just two years old, my father bought one of the first examples of the E36 3 Series in 1991, and my favorite childhood toys were, of course, toy cars. Furthermore, all of our cars ever since were 3 Series in their contemporary generations, so my devotion to the brand doesn’t come as a surprise. The first car I’ve ever driven was a E46 3 Series, and I instantly knew that it felt wonderful and even as a twelve-year-old, every other car I’ve tried after that felt weirdly artificial and disconnected. Of course, getting a driver’s license was one of the happiest days in my life. I have always enjoyed writing and my style is slightly different from the usual posts found here, as I wanted to create a column that deals with current affairs in the automotive industry, with an emphasis on BMW. For me, there is no such thing as negative comments, as I appreciate any feedback from our readers. My articles are based on facts, but my personal view is always present, divided of the rest of the text and usually at the end, so anyone can form his or her opinion. Daniel Perianu is the master behind his ever-growing Instagram, @danthewatchguy. Based in, Vancouver, He is one of many highly important and influential watch savants that are taking Instagram by storm. Daniel is passionate, highly knowledgeable and dedicated to his craft.